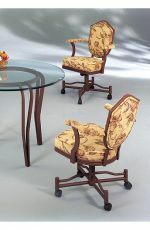 Buy Callee's Arcadia Transitional Stationary Dining Chair • Free shipping! ^ Special finish. Will take an additional 1-2 weeks. Must purchase in sets of two. 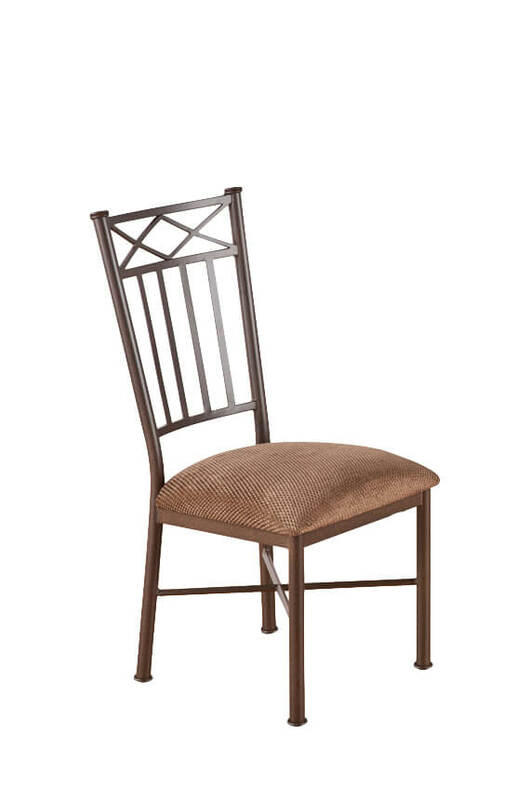 Fill out this form to receive a coupon off of Callee Dining Chairs. 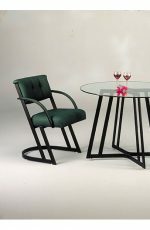 Available in a variety of powder-coated finishes including arctic cream, flintrock grey, gloss white, matte black, nickel, pebblestone, and sun bronze. Available in a variety of comfortable fabric colors including bacova barley, corona earth, crosby black, element macchiato, geary taupe, radiance pewter, and more. Available in a variety of wipe-off-ready vinyl including ford bone, ford black, ford red, newcastle tan, renegade seafoam, rodeo white, smooth black, and more. We also accept C.O.M. 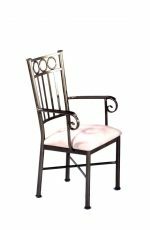 (customers own material) if you’d like to send in your own fabric or vinyl, which allows you to use any color or pattern on our stools our chairs. Callee also accepts leather, but it has to be continuous yardage and there is a $15 fee per cushion. You can also customize our stools in any height from 24” up to 34”. That means if you want this stool in 24½”, you can get it. Reach out to us with what you want and we’ll go from there. Ships in 5-6 weeks. Free shipping! Have a fabric you love? Callee will upholster your stools with it. 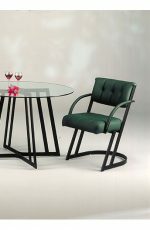 • For the Arcadia Dining Chair, you will need 1 yards per chair. Please make sure this is an upholstery fabric, vinyl, or leather. For leather, there is an upcharge of $15 per cushion. 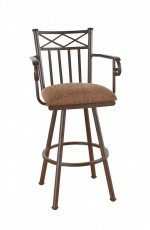 Callee crafts top-quality custom barstools right here in North America. 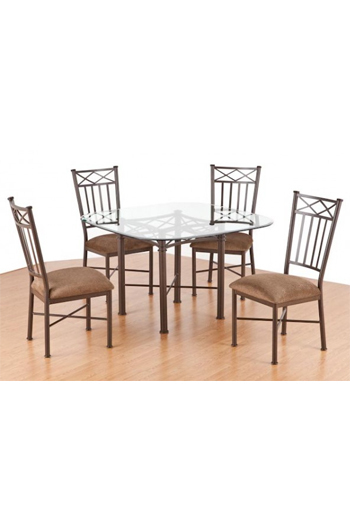 Choose your favorite combination of fabric, finish, arms, and seat height to create a perfect match for your décor. Every Callee stool is built with durable 16-gauge steel and fully welded joints. 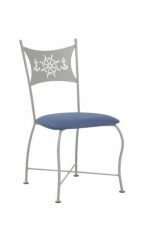 A non-toxic powder coated finish protects the steel frame and makes your Callee stool shine. The finish is electrochemically washed, then electroplated to create a chip-resistant shield that stands up to kids, pets and years of constant use. Callee stools aren't just strong—they're super comfy! 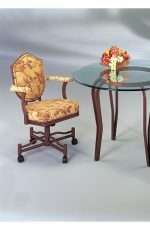 The high-density polyurethane cushions are "just right" and you can choose from dozens of stain-resistant upholsteries. 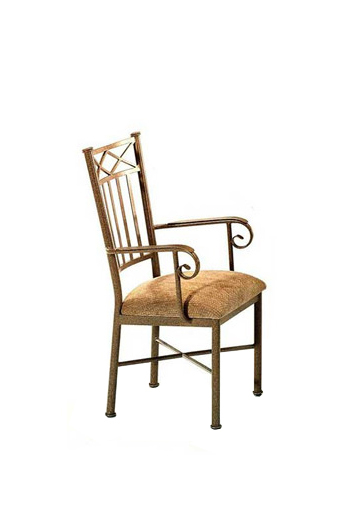 The seats swivel or swivel-tilt on sturdy, American-made Trendler hardware. 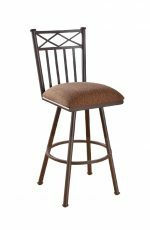 Callee stools are available in seat heights of 26" (counter), 30" (bar) or 34" (spectator). 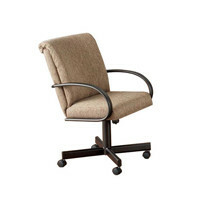 Choose Callee for luxurious styling, years of reliability, and comfort, comfort, comfort!